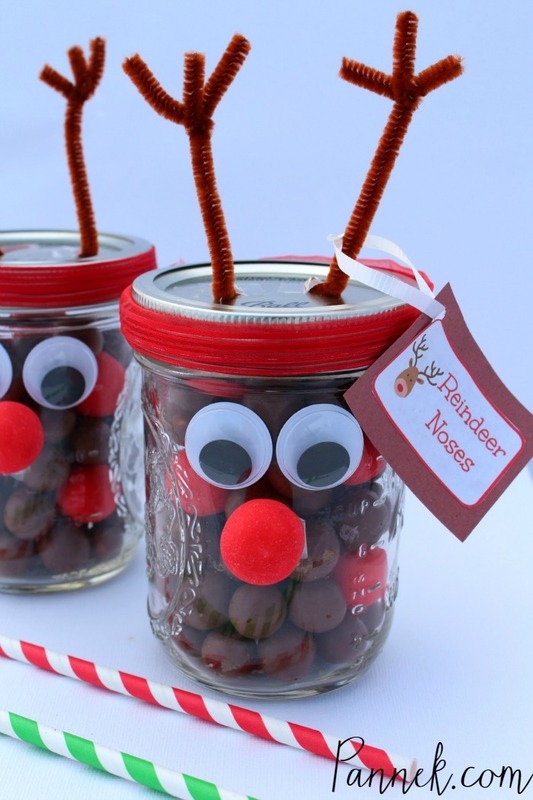 Here’s a super fun and easy DIY Christmas Craft – Mason Jar Reindeer Noses! These make for a fun gift idea for teachers, neighbors, friends and coworkers. I love getting hand made gifts. They are so much more personal. Clean the mason jars with warm, soapy water and allow them to dry. Find a section of the Mason jar with no writing on it. 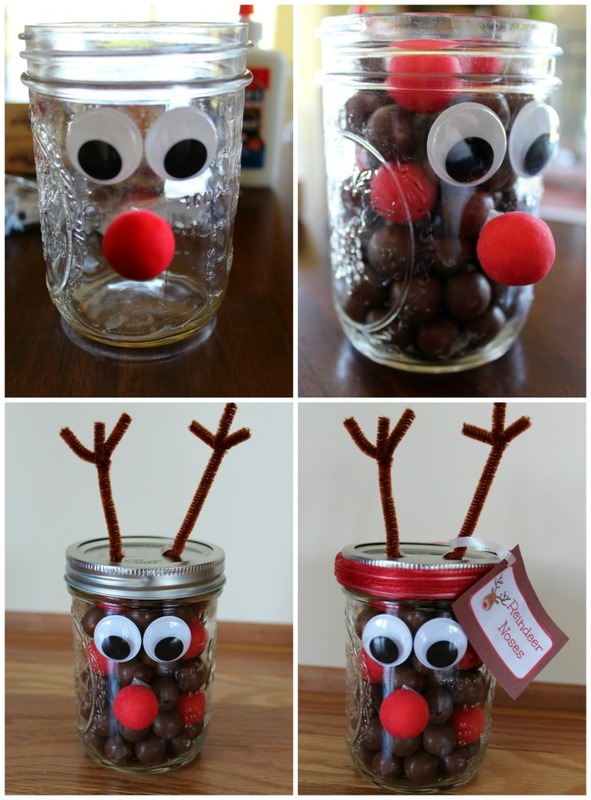 Glue on the wiggly eyes and a gum ball nose to make your reindeer a face. 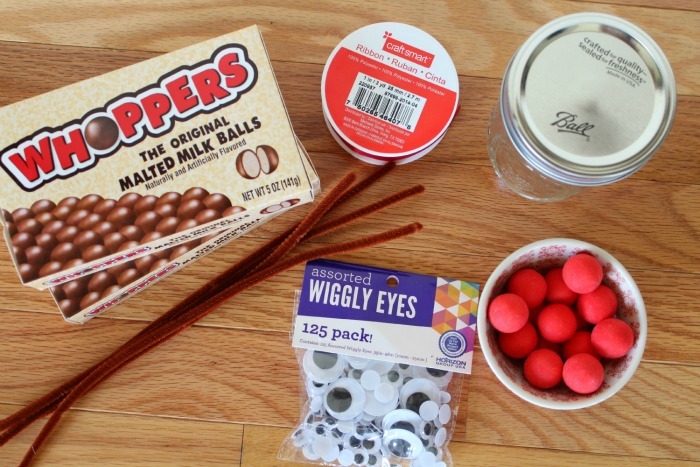 Fill your jar with Whoppers and sporadically add in a red gum ball for Rudolph. Take 1 pipe cleaner and cut it into 3 equal parts. Glue one part of the pipe cleaner onto each side of the lid for his antler. Take your remaining piece of pipe cleaner and cut it in half. Take that small piece and twist it around his antler to make his horns. Repeat for the other side. 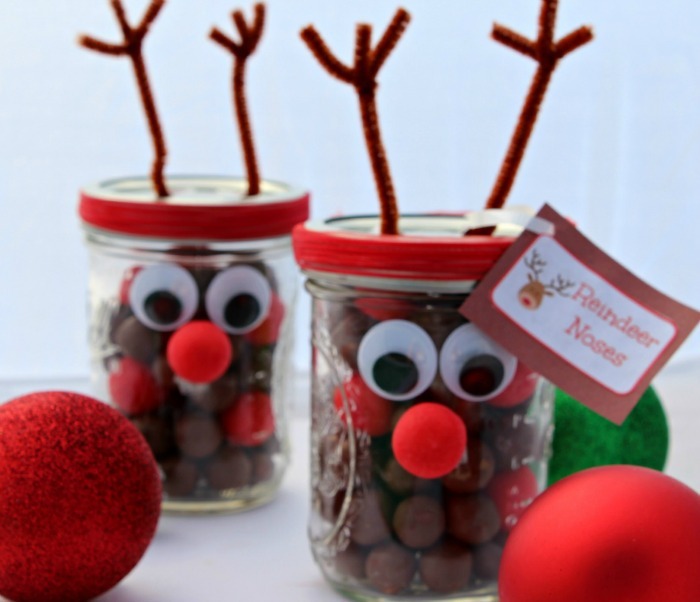 Close up your jar and add some cute ribbon around the lid of the jar. 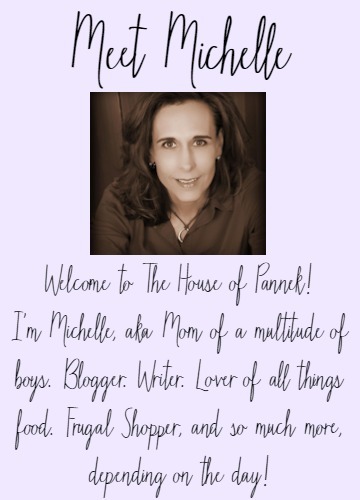 Finish it up with a gift tag! 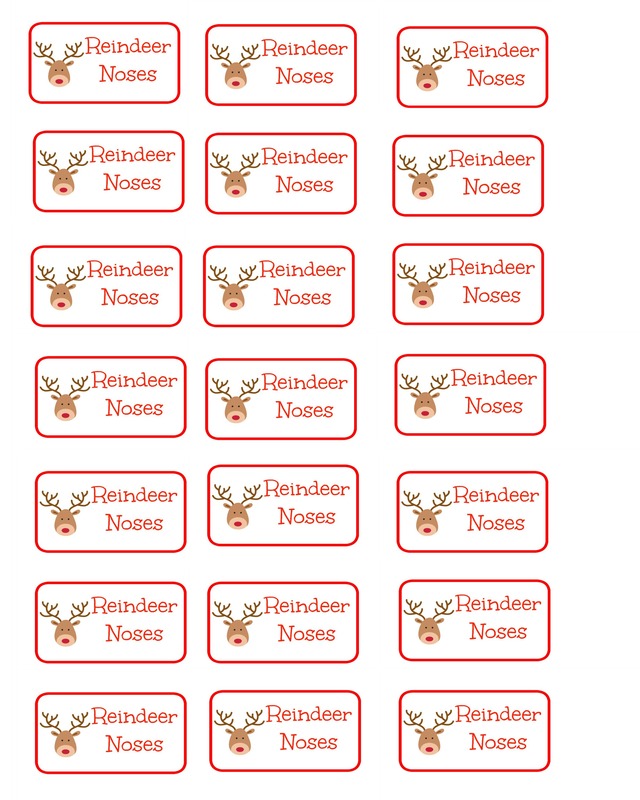 I used these Reindeer Noses Labels. I simply printed them off and attached them to some brown construction paper.